Towards the end of 2018, I was invited to attend HPE Discover in Madrid. 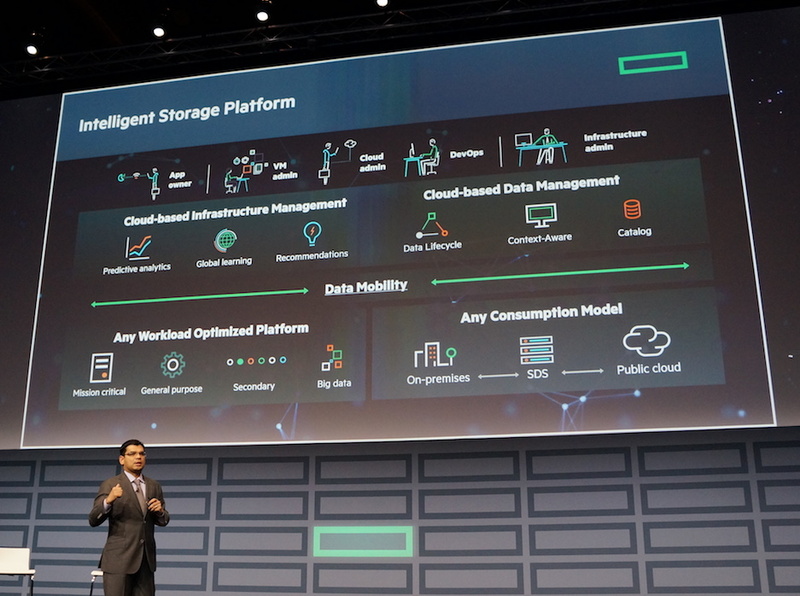 In previous years, this has been a great opportunity to get up to speed on the storage strategy the HPE Storage team is following. What did we learn this year? The message being broadcast for the last year or so has been one of “intelligent storage”. 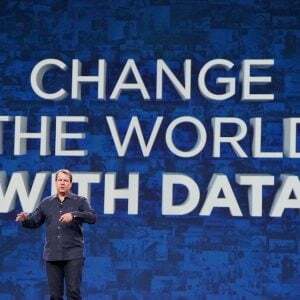 Look back at the acquisition of Nimble Storage and the introduction of InfoSight and we can see the threads of the Nimble DNA pervading other platforms. 3PAR now has Performance Insights and InfoSight has also been expanded to the server platform. I’m sure there’s more to come. Some of the latest work on InfoSight is really interesting. I have a paper coming soon (disclosure: sponsored by HPE) that discusses how InfoSight has evolved into Performance Insights. We also spoke to Ivan Iannaccone on a recent Storage Unpacked episode (embedded here) where he explains how the technology works. 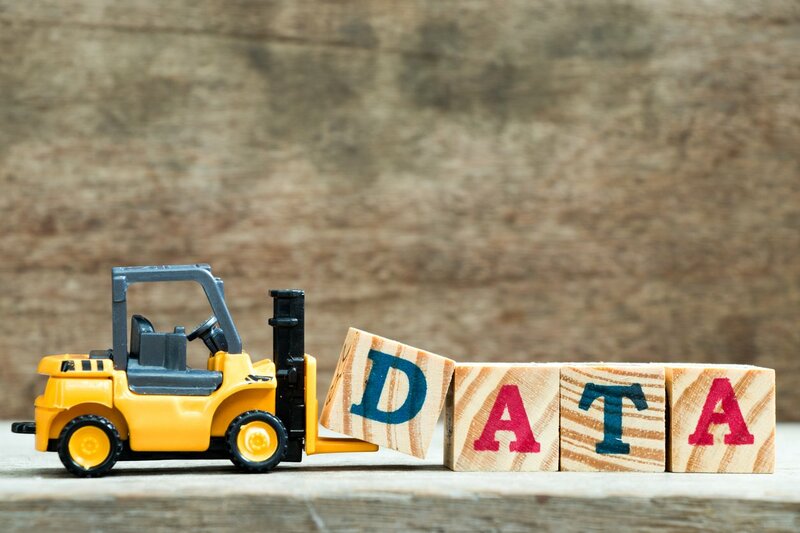 So infrastructure analytics is one aspect HPE is working on. Another area of focus for HPE is the idea of workload-optimised platforms. What does this mean? Well, think 3PAR for Mission Critical. Think Nimble for General Purpose storage. The other categories discussed by HPE Storage GM Milan Shetti in his keynote were Secondary and Big Data. Lots of articles have been written about secondary storage, which is generally thought of as non-production data, such as backups or test/development systems. It’s also possible to call this “non-critical”, as an adjunct to the idea of mission-critical storage. Big Data typically refers to scale-out storage such as unstructured file systems and object stores. How is HPE meeting these range of requirements? First, there are the obvious HPE-owned products like 3PAR and Nimble. There’s StoreOnce for data protection, with extension to the public cloud (Cloud Bank Store). For file, there’s StoreEasy and 3PAR with the File Persona and File Controller, although I don’t hear much about these products. Then there are the partnerships. This is where things get interesting. Continuing on the unstructured portfolio theme, there’s object storage in partnership with Scality (the RING platform) and scale-out file storage with Qumulo (based on HPE Apollo servers). 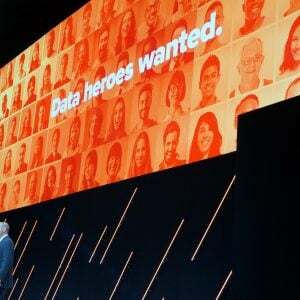 Great, that fills out the requirements for Big Data and some secondary storage, but wait, there’s more. Through the HPE Complete program, we also have CTERA, Hedvig, Datera (which was announced last week), Commvault, Cohesity, Zerto, Carbonite, DDN and Rozo Systems. Scality, Hedvig and Cohesity are also Pathfinder companies (invested in by HPE’s VC arm). WekaIO Matrix is OEM’d by HPE, mainly by the HPC team. Cloudian also announced their partnership with HPE in EMEA through the services arm of the company. That’s a lot of possible solutions! Now, I’m all for customer choice and it’s fair to say that these solutions have both niches and overlap. Better to have some overlap, I guess than to have gaps in the portfolio. But a number of issues spring to mind when looking at such a diverse set of product choices. First, how does the customer differentiate between them all? For example, WekaIO offers high-performance NVMe-based scale-out storage. But then, doesn’t Qumulo? Isn’t this what Rozo Systems also offers? Second, as a customer of HPE, how do I manage such a diverse set of products? How well is each integrated into (for example) the Synergy platform? How will these solutions integrate with InfoSight to give me a joined-up view? Third, how will the various sales teams be compensated for selling or bundling these products in solutions? How will HPE ensure the right product is sold for the right solution (especially when so many seem to be sold by different parts of HPE)? Let’s not forget the benefit to the start-up vendors too. They get more exposure for their products, access to a wider sales team, additional product testing and integration into solutions where their solutions may not have otherwise been considered. Overall, I like the strategy of building out a wider portfolio. The HPE Storage selections have a general theme in common in that they are all software-defined storage solutions. This is fairly obvious as the benefit to HPE is to sell more hardware (although this could be an exposure in hybrid cloud). it would be useful though to have a clearer view of the portfolio. Some products are via HPE Complete, some are on the HPE Storage website, some aren’t mentioned at all, except for in press releases. Here’s the next thought; what is the long-term strategy? Will HPE acquire any of these vendors? If they don’t, what protects a competitor acquiring? As an ex-customer of storage platforms, I don’t want uncertainty, but clarity on the long game. 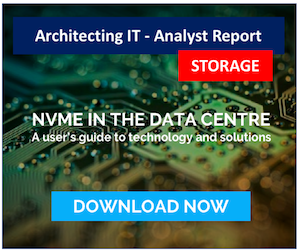 One positive to be said here though, is that the focus on standardised hardware means that even if one vendor drops out, the capital acquisition isn’t lost, as it can simply be repurposed for another storage solution. Copyright (c) 2007-2019 – Post #5c33 – Brookend Ltd, first published on https://blog.architecting.it, do not reproduce without permission.